Have you browsed through website after website on dog medicine only to find yourself barraged with "dog nutrition" or "dog treatment" sites that claim their own products are the only answer to your dog's health issues? Have you finally found some "solid" information, only to see the accompanying "add this to my cart" button and realize that, once again, these dog "experts" are only trying to sell you their new remedy, powder, pill, or multi-video training program? At Lucky Dog Health, we believe that your dog deserves the best and most complete information available. Your dog is counting on you. In order to make the best decisions that you can for your little friend, you need to have access to the best of free, unbiased information on the web. 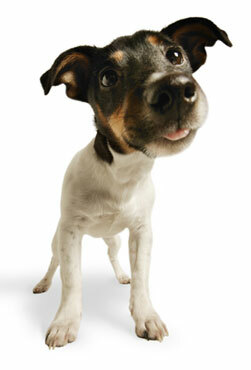 We are your source for unbiased canine health information on the web. Whether you are researching dog diseases, dog vitamins and supplements, dog allergies, dog therapy, or any other type of dog ailment, you will be sure to find straightforward, cutting-edge information without the common bias that comes along with other commercial dog health sites that are financed by people who are also trying to sell you their own dog products or services. Here at Lucky Dog Health, we are dedicated to serving the best interests of man's best friend by making accurate, unbiased information available to the public. If you are here to learn about general dog health or if you have come in search of an alternative treatment for an injury or condition your dog is suffering with, you have come to the right place. Click on any of our topics to get started. And, oh yeah, don't forget to say "hi" to Fido for us!